Minilec Microprocessor Based Alarm Annunciators are designed to keep an alert and watchful eye on your plant and processes. The entire range has been designed with an insight into the modern day manufacturing plant and its future requirements. Minilec Alarm Annunciators are equipped with microprocessor-based design, super bright LED facia windows, site selectable, programmed sequences as per ISA standard and thoughtful provisions for troubleshooting and maintenance. 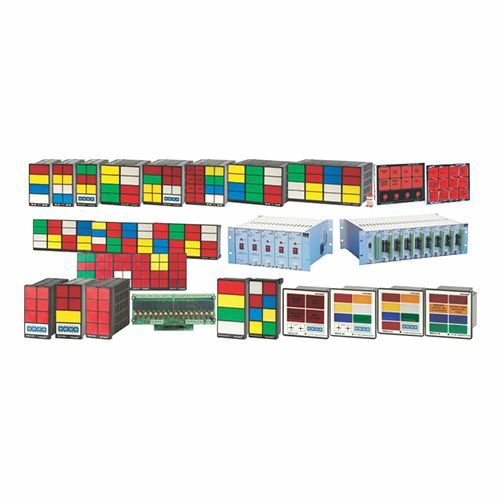 Dynamic, Alert and Responsive… These unique advantages have helped the Minilec Annunciators to be an icon in the power T and D industry and engineering establishments in India. The world class Minilec Annunciator has made its presence felt in Overseas markets.